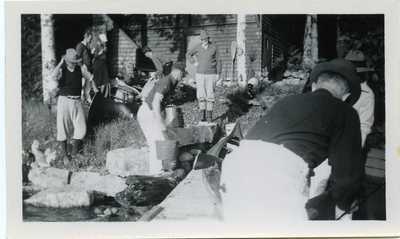 A black and white photograph of eight men outside of a house completing various tasks and preparations. Nothing noted on the back of the photograph. From the Amadamast Fishing Club records.